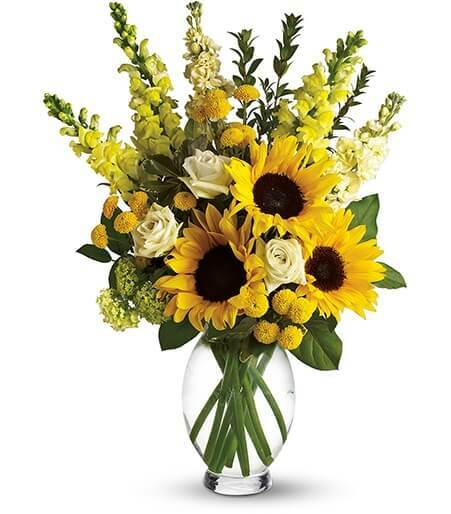 Here comes the sun and it's all bright, especially when it comes to this gorgeous bouquet. Anyone who receives this golden arrangement will definitely feel its warmth. As if green roses next to yellow sunflowers and snapdragons weren't brilliant enough, we've added white stock, green button spray chrysanthemums in a vase. Vase may vary.